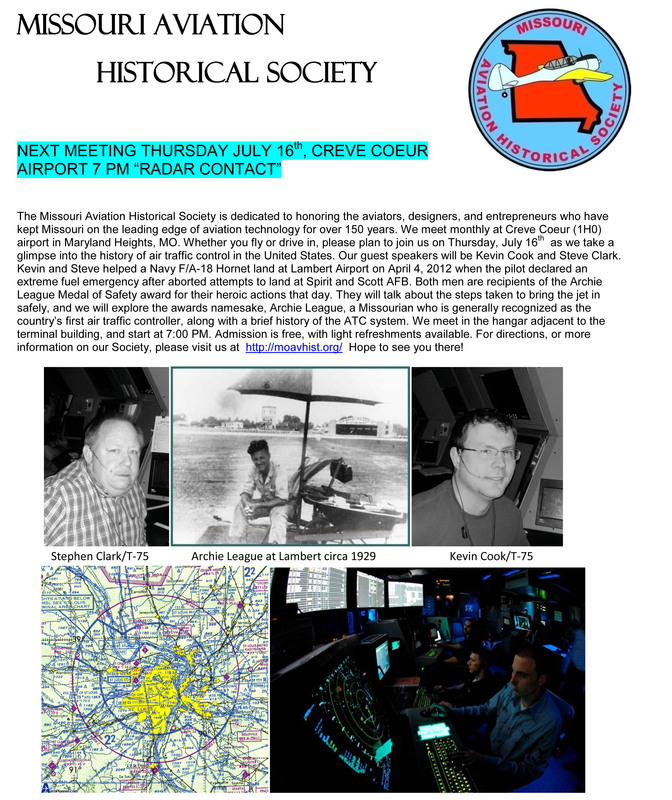 The Missouri Aviation Historical Society will hold its July meeting on Thursday, July 16th at 7:00 P.M. The meeting will feature two Archie League award recipients, along with history of Missourian Archie League and the ATC system. View flyer below for complete details, and click here for driving directions. Free admission.